David John was nominated songwriter and entertainer of the year by the Western Music Association. He brings his knowledge of western heritage, cowboy legends, Wild West history, and fast horses into his songs. He seems to have a knack for bringing the old west out of every one of us. Through his songs we find ourselves going back to a simpler place and time. His songs seem to reach out and touch even those who aren't sure what western music is all about. His rich baritone voice, coupled with his original songwriting is a once-in-a-lifetime combination. 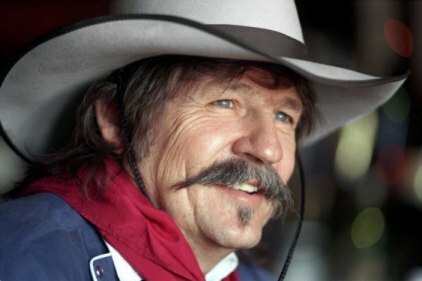 Some of his most acclaimed original compositions are "Comanche of the 7th Calvary" and "The Cowboy was the Hero". They have generated CD sales never before seen by an independent label. David John has found a very special place in the western music genre. With his band the Comstock Cowboys, they are rapidly becoming the No.1 western music act in the country. Their concerts are very special events. Fans come from all over the world to see the old west come alive right in front of their very eyes, with each of the band members wearing 1800s period outfits: spurs and jingle bobs, wooly chaps, six guns and all. David John and the Comstock Cowboys portray the old west with their traditional songs such as "Ghost Riders in the Sky", "Cool Water" and everybody's favorite song "Cattle Call". Listener's walk away feeling like they were in the old west just for a moment in time. What will be the next big trend in music? Who knows, but one thing is for sure - in today's fast paced world where music and entertainment seems to be leaving many of us behind David john and the Comstock Cowboys fans seems to be growing in large numbers. They find their music new and refreshing - yet familiar, like spending a day in the country with an old friend.